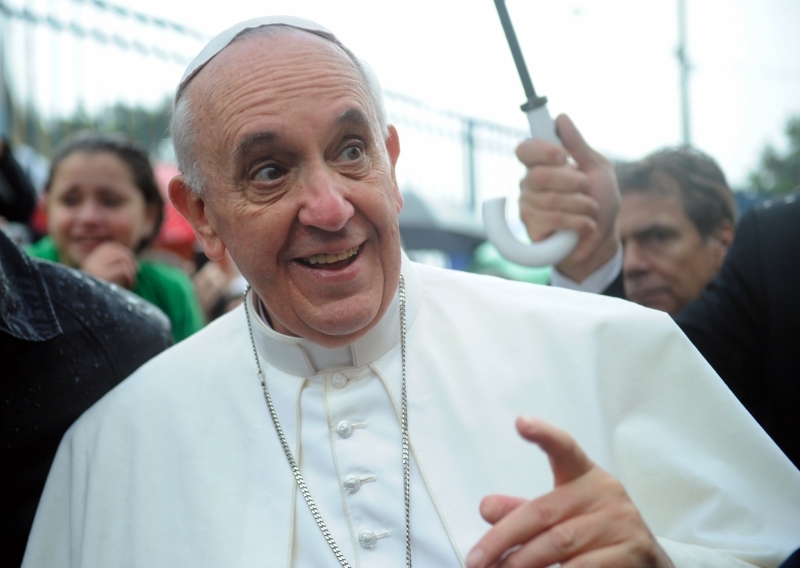 When Pope Francis told us to spread the Gospel in his Apostolic Exhortation, “Evangelii Gaudium,” he wasn’t kidding. He’s followed through on that by urging the faithful during his Sunday Angelus addresses and on various other occasions to carry a pocket-size edition of the Gospels and to read and meditate on them frequently. Now, he’s putting his words into action. Next Sunday during the Angelus, several thousand pocket-size copies of the four Gospels and the Acts of the Apostles will be distributed to the crowd in St. Peter’s Square, compliments of the Pope. The editions will be printed by Vatican Typography specifically for this initiative and will not be available for sale else wise. This elicited two reactions from me. First, it made me yearn to be there. Second, it gave me a case of the guilts. How often has a family member, personal friend, or reader come to me with the difficulties in their lives and I’ve recommended a self-help book to help solve their woes? I bet you’ve done that plenty of times, too. Well, we Christians have the greatest self-help book ever – the Gospels! Sts. Matthew, Mark, Luke, and John gave us all we’ll ever need to solve life’s problems nearly two thousand years ago when they recounted the life and words of Jesus Christ. If we want a how-to book, we can look to the Acts of the Apostles to see the principles of the Gospels in action. When our Lord said, “I am the Way, the Truth, and the Life,” he wasn’t talking about how to get to the organic foods store. He was talking about how to live our lives, deal with our problems, and lead others to do the same. Through the hands of his Apostles, he gave us the self-help book of all time. Now Pope Francis is making good on his words by distributing copies of Christ’s words to whoever is open to receiving them. That makes me wonder. What if, when someone comes to me with a problem, I give them a copy of the Gospels and Acts of the Apostles instead of referring them to a book that merely gives advice from somebody else’s point of view? That’s not to say that there aren’t good self-help books out there, but I find the best ones are based on the Gospels anyway. So, why not give folks the real thing? On Sunday, Pope Francis will be handing out the ultimate self-help book, and he’s got me thinking seriously about doing the same.